Search Engine Optimization (SEO) copywriting in web-based press releases, blogs, and sites are a great way to present news and information about your company. 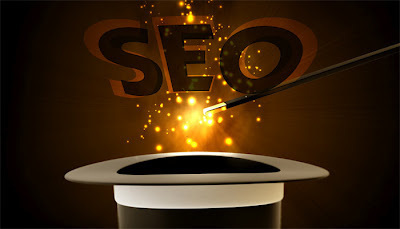 What makes it unique from other methods of writing is that it is structured using keywords and special formatting to ensure a high ranking in search results. On the surface, it can seem complicated. What’s more, every day a new latest and greatest tool gets shoved in our faces that claim to have an edge on Google and professes to be the next big thing with some nifty trick to increase traffic. Google has an army of PhDs that have already come up with every trick, some of which haven’t even been released yet. Value – Such a simple word, but this is the key to the internet. Everyone is looking for value and Google knows it. Focus on value in everything you write and Google will take notice. Targeted – There are billions upon billions of websites these days. The more targeted your niche, the better your success both in the short and long term. Get specific! Think about what your ideal target wants and needs most, then speak to them. Consistency – 20 pages this week and then not touching your website for a year is not the way to go. Active websites will not only provide the advantage of getting you ranked for new items but also help to raise your rankings for the other rankings on your site. Shotgun Approach – Not all efforts will work. That is just the way of the internet. Some results that you are sure will send your rankings shooting to the top will fall flat and others that seem like reaches will have great success. Therefore, broaden your approach as wide as you can while still focusing on that tight targeted group. Social Media – Are you on it yet? You should be! This doesn’t mean creating a page and forgetting about it, but being active, keeping one very important word in mind (take a peek at the first bullet if you need a reminder). ‘Social Proof’ is gaining significance and will have a great impact on your reach and especially your rankings. Very little success comes about as a result of chance or luck. It’s actually a lot of work to maintain, in addition to running your business. ACF Consulting, it just so happens, are experts when it comes to SEO. So, give us a call to find out how we can help you.